What is it about a top hat and a walking stick on a man that makes my heart skip a beat I do not know. 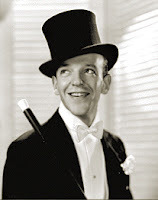 The top hat was made for men like Fred Astaire who was every inch the perfect gentleman. A man with a top hat has style. The morning dress is SUCH an elegant and gentlemanly piece of clothing. Men should wear it ALL THE TIME. If the eighties is in vogue now, then people should work at BRINGING BACK THE TOP HAT! 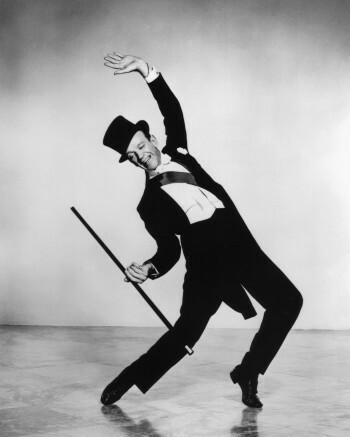 Just LOOK at Fred Astaire. He makes me want to give up everything in the world and just dance with him. It’s sad how these days chivalry and gentlemanly behavior is just lost on men. Fred Astaire would NEVER be disrespectful to a woman. He is just too darn charming. Well, and Humphrey Bogart too. Sometimes I wish I could just ‘time-travel’ myself back to the thirties and forties. Everything just seems so much more pleasant then. The gowns were gorgeous, people still called each other Mr. Blah Blah and Miss. 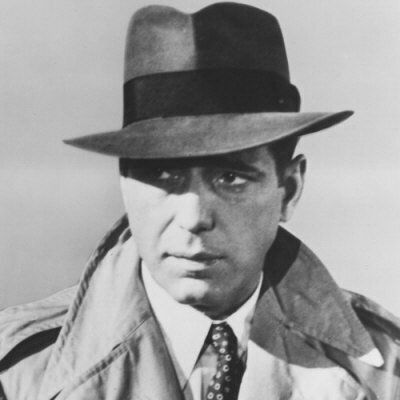 So and So, men wore tailcoats and top hats and looked like Humphrey Bogart. Tell me about it! Sigh. Men like that just don't exist anymore.